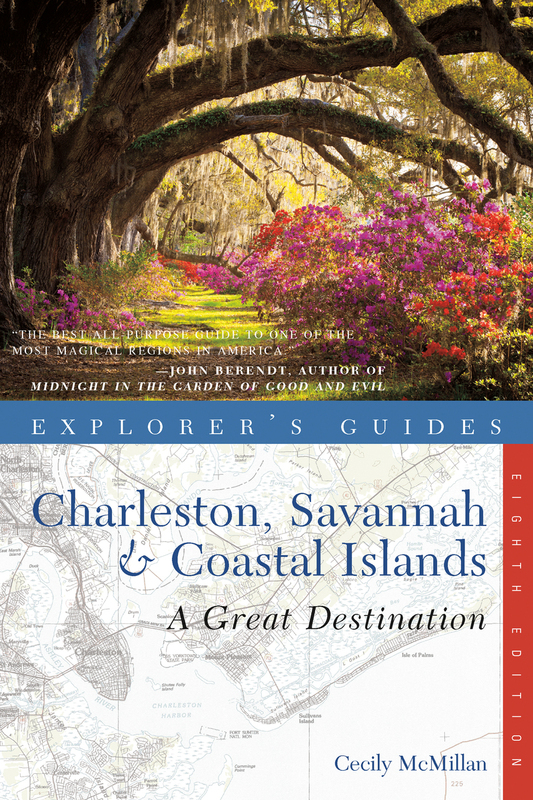 Charleston has become the most compelling destination in the coastal south for people who are serious about food and cooking, and this new edition of Explorer’s Guides Charleston, Savannah&Coastal Islands: A Great Destination is your best source for information on the farm-to-table scene and the restaurants of its inspiring chefs. Also covered are the unique Gullah-Geechee culture of the Lowcountry; the myriad ways to explore on foot or by water; and the thriving arts and film community in Savannah. See why Charleston, Savannah and the historic small towns in between are beloved by residents and enchant visitors. Cecily McMillan's articles about the South have been published in newspapers and magazines worldwide, including the New York Times, Southern Changes, and Southern Exposure. She is the author of Lowcountry: From Charleston to Savannah, with photographs by Bob Krist; and Explorer's Guide Charleston, Savannah & Coastal Islands: A Great Destination. She lives on St. Helena Island, South Carolina.